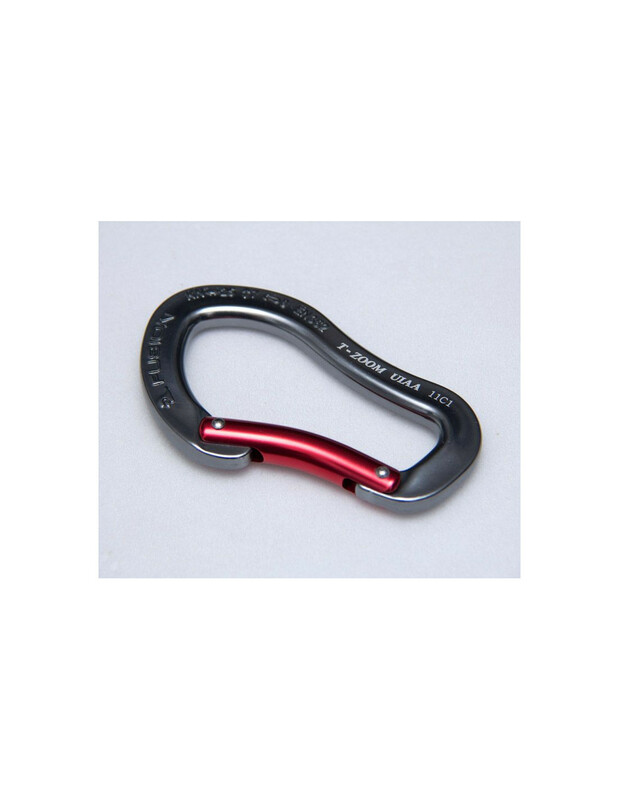 This ultra-light bent gate aluminum carabiner weights only 1.7oz. 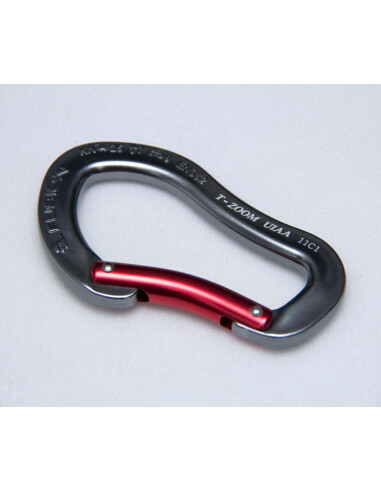 It's ergonomic body and bent gate and has generous gate opening for easy handling and clipping to rope. Ideal for sport racks or any application where weight matters. Meets UIAA standards. Great for EDC use, but with load bearing capability. Overall approx 4.1" x 2.5"